Any flea-market-related experience you wish to share? A particularly amazing vintage shop you’ve visited recently? Maybe a few new haggling tips? Or how about a list of useful words & sentences in your own language that come handy when haggling at the flea market? 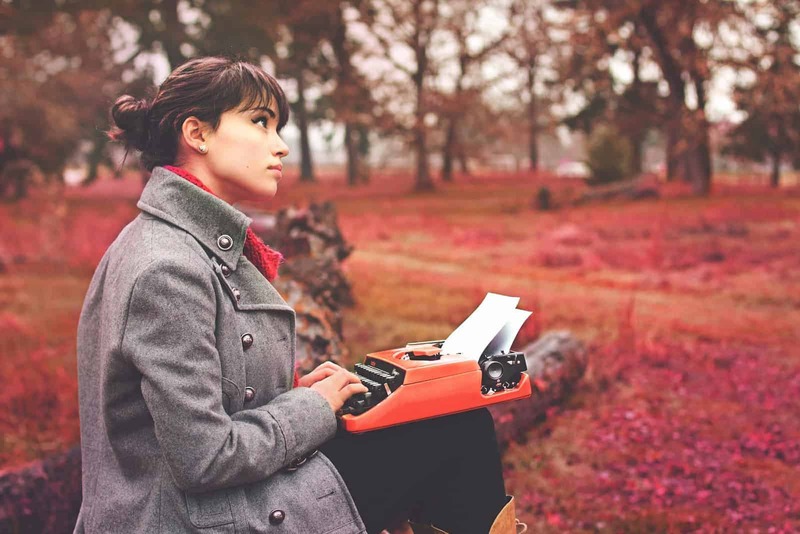 Writing for Flea Market Insiders is a great way to establish yourself as an expert in your field, grow your audience, and share your love for flea markets, vintage, antiques and design. Our contributors receive love from our 75,000 monthly readers in the form of shares and comments, which is perfect for spreading their amazing work! Also, you get to collaborate with our editorial team, which is always an interesting and rewarding experience. At Flea Market Insiders, we’re open to any topic, suggestion, or crazy ideas, as long as they’re related to flea markets, major antiques/design fairs & events, retro-modern technology products, vintage at home, and vintage/antiques-related home improvement tips. Just browse the blog a little bit, and you’ll understand what we have in mind. The post must be useful to the readers of this blog. Topics can vary, but should be related to flea market venues from around the world we haven’t covered yet, major antiques/design fairs & events, retro-modern technology products, vintage at home, and vintage/antiques-related home improvement tips. If you have a doubt about whether your topic fits within our editorial line, please touch base with us. Content should be unique and targeted to Flea Market Insiders’ readers. No guest posts will be published that have already been published elsewhere online, as verified by Copyscape.com or Plagium.com. Also, once you’ve submitted your post to us, you may not publish this post anywhere else online (not on your own website or blog or anyone else’s). When quoting others, please cite your sources accordingly. Guest posts must be written in the third person, with a neutral tone (not too serious/formal, not too informal, but relatable). No guest posts may be self-promotional or include marketing links (see “Links” section below). And please don’t send us a press release. Please keep your submission between 300 and 900 words . 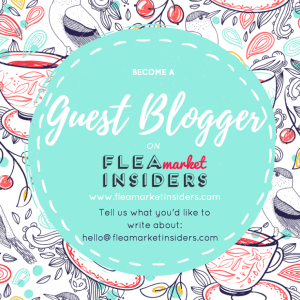 Flea Market Insiders welcomes images and/or video to accompany guest blog posts. We prefer that images you provide are directly relevant to the post content. If you are including pictures of people, please make sure you have their permission to use them. If you’re borrowing an image, we require proper attribution to the creator of the image. Flickr is a great resource to find images to illustrate articles. Many Flickr users have chosen to offer their work under a Creative Commons license. You can browse or search through content under each type of license. All guest posts may include a 2-3 sentence author bio, which will be published at the end of the guest post. 1-2 links to the author’s website, blog or other branded online destination may be included in the bio. This may not be an affiliate link or point to an affiliate site. We do not allow links to your site within the post content unless it is directly related to the topic. Flea Market Insiders reserves the right to make edits to the piece where necessary, to ensure the blog stays congruous with our values. Prior to publication of your guest blog post, we will make sure you agree with these changes. Guest post submissions are not a guarantee of publication. Flea Market Insiders reserves the right to refuse publication, remove blog content and change these guidelines as we see fit. Guest posts that are approved by Flea Market Insiders’ editorial staff may be published without notice. We will, however, send you an email to let you know when your article is online. Alternatively, you can check the blog periodically to see if your post has been published. If you want to promote your brand or company, please get in touch with us via the contact form below to discuss sponsored content opportunities. All sponsored articles are explicitly presented as such to our readers, and written in our distinctive tone, while always in keeping with the rest of the site and our convictions and opinions. Simply get in touch with us via the form embedded below to tell us about the topic of your guest post. Add as many details as possible, and we’ll get back to you soon with our feedback. We look forward to counting you among one of our new contributing authors! Join us & share the love for flea markets! Quiz: What is the capital of Japan? This is Jason, I came across your website and found some interesting article and I would like to post a guest article on your website. I will give you fresh and unique content. This content will be published exclusively on your website. (I won’t even post it on other websites), having this unique content should help you attract additional traffic. Please let me know if you are interested, We can proceed further.